Sloanbook: I love my boys. March 22, 2012 my mom had her second hip surgery to fix her other labrum. While she was in the hospital in Denver with my dad that meant we were parents for the day or so! 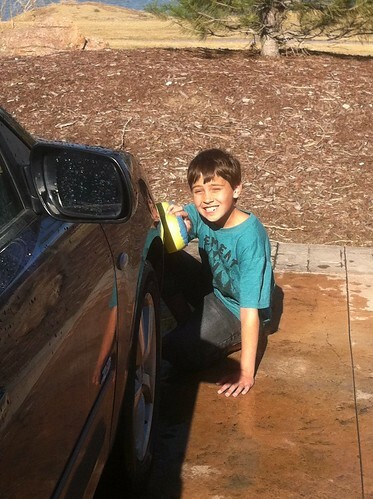 Kevin picked up the boys from school and before we all went to dinner Kevin decided to wash the cars. It was surprisingly warm this day so it was good timing. Hunter immediately said, "I love washing cars! I want to help!" 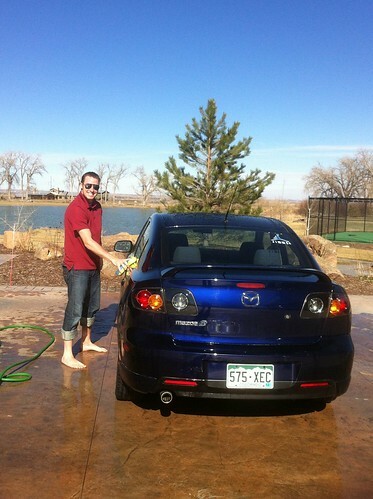 So, him and Kevin washed the Mazda and Jeep and it was so cute. I don't know why it was but it just was! Hunter kind of got too into it and was sitting in the water to wash the tires...smart haha. His jeans got soaked on one side. 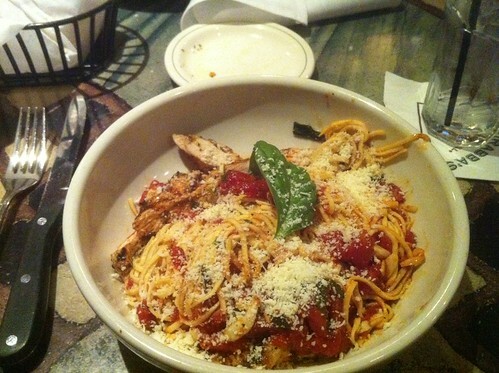 Then afterwards we all ate at Carrabas and had a yummy Italian dinner! Hunter was dying to go here. 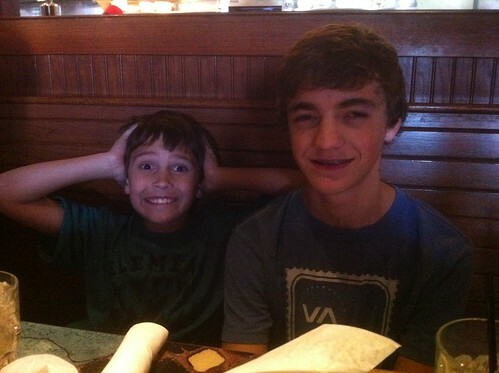 And I'm pretty sure Zach would not want this picture on my blog, oh well haha. Zach and I got the same yummy meal! Afterwards we watched Cars 2 and then got the boys to bed since the next day was a school day - with seminary! All I can say is dropping kids off and picking them up from school a few times a day takes A LONG time. So much driving here 10 minutes, home 10 minutes, there to get the other bro 10 minutes, taking him home 10 minutes...and I'll be picking them up again on Monday since Omi is coming into town and my dad is picking her up from the airport!